Apprente is automating customer service through neuroscience-inspired machine agents. More on product. This team of senior AI PhDs and engineers from Stanford & Google is building intelligent systems based on breakthrough AI. More on team. Beyond View provides the construction & engineering industry with powerful VR & AR tools for designing & collaborating on large projects. More on product. It’s led by senior engineering & product leadership from Wikimedia, Warner Bros, Linden Lab, Dreamworks, & SAP. More on team. Biobot Analytics analyzes city sewage to estimate opioid consumption. More on product. It’s led by a team of PhDs & experts in computational biology, epidemiology, and urban science from MIT & MIT’s Senseable City Lab. More on team. Catalog Technologies is building infinite data archives by encoding digital information into DNA. More on product. Its founders are PhDs from the synthetic biology lab at MIT. More on team. Cinchapi is a natural language-based platform for understanding real-time sensor data. More on product. Its team is led by engineers from Palantir, Ionic Security, and nPm. More on team. Cryptomove's moving target defense data protection continuously moves, mutates, fragments, distributes, & re-encrypts data without latency. More on product. Its founders are senior security engineers & founders who've worked on data protection & cybercrime for Amazon, Google, & Microsoft. More on team. Diligent Robotics is building socially intelligent service robots that combine autonomy with mobile manipulation to improve hospital care & efficiency. More on product. Its co-founders are Professors & PhDs in Human Robot Interaction from UT Austin and Georgia Tech. More on team. 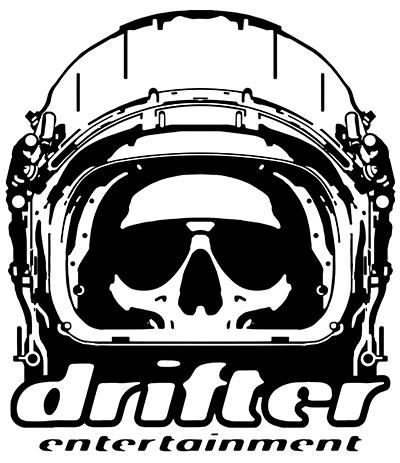 Drifter builds AAA games for VR, console, and PC. More on product. It’s led by the former GM of Unreal Engine 4 & CTO of Microsoft Xbox/Kinect, Art Director of Oculus & Art Director at id Software, and Creative Director for Games at Microsoft. More on team. Fathom Computing is building hardware to train vast artificial neural networks with as many neurons and connections as the human brain. The product is currently in stealth. It's led by a highly technical team of senior researchers and engineers. More on team. IronOx is building robotic greenhouses with real-time data capture for growing sustainable produce. More on product. It's led by senior robotics engineers from Google X, Willow Garage, and ABB. More on team. Limbix Health is building VR-based health tools for therapists. More on product. Its founders are engineering & product leaders from Oculus, Facebook, and Google who previously founded & built Karma Science (acquired by Facebook in 2012). More on team. Mux is building a video streaming analytics and performance suite. More on product. It's run by the founders of Zencoder (acquired by Brightcove for $30M in 2012). More on team. nTopology is building modular CAD software with explicit and computer assisted creation tools for advanced manufacturing and 3D printing. More on product. It's led by a specialized team of designers, mathematicians, and engineers from the 3d printing industry. More on team. Ono Food Co. is building robotic systems to revolutionize the way we eat. The product is currently in stealth. Its team built operations, robotics, and engineering systems at Instacart, L2F Automation, and Facebook, respectively. More on team. OptimoRoute applies theoretical computer science to people routing and fleet management for mobile work forces. More on product. Its founders were early engineers at Google and built machine learning products for Yelp. More on team. Orderful provides an API to simplify EDI transactions at scale within a supply chain. More on product. It’s led by a team of EDI industry experts & engineering leaders who’ve spent 10 years building EDI solutions for Fortune 500 companies. Learn more about More on team. Reliable Robotics believes in a future where all aircraft, big and small, fly themselves, are everywhere, and are available to everyone. The product is currently in stealth. Its founders are a team of mission-driven engineers from Space X, Tesla, & Google with experience in aviation, space, robotics and self-driving cars aggressively working to make this future a reality. More on team. Rheo builds consumer video experiences & creator monetization tools for the connected television ecosystem. More on product. This team of senior engineering and product leaders from Apple, Facebook, and CBS is known for building some of the first iPhone apps, Apple media products, and autoplay video at Facebook. More on team. Safely You detects and prevents falls in dementia care and nursing facilities using artificial intelligence & computer vision. It is led by PhDs and professors for UC Berkeley. Shoonya is building a platform to securely deploy, monitor, and optimize your enterprise edge devices. The product is currently in stealth. It's led by senior product, engineering, and partnerships leaders at Amazon, Microsoft, and Huawei. More on team. Simbe Robotics builds autonomous robotic systems for real-time data capture and analytics in retail environments. More on product. Its founders are robotics engineering and product leaders from Willow Garage and Silver Spring Networks. More on team. Spiketrap applies machine learning to generate actionable insights from gaming and entertainment data. The product is currently in stealth. It's led by a senior team of machine learning PhDs, product builders, and industry experts from Amazon & Goodreads (acquired by Amazon). More on team. Superhuman is the fastest email experience in the world. Message me for an invite. Its founders started Rapportive (acquired by LinkedIn in 2012) and LiveRamp (acquired by Acxiom for $310M in 2014). More on team. TextIQ is building machine learning-based solutions for document intelligence in legal, insurance, and Fortune 500 environments. More on product. It is led by a team of PhD and Masters level machine learning engineers from Columbia University. More on team. Co-investors: Floodgate (Seed), former General Counsels at Apple, Oracle, and Verizon. Vergesense provides AI-powered utilization data & analytics for Fortune 1,000 companies and developers through quickly-installed sensors. It is led by senior sensor engineers who previously founded & built ByteLight, which was acquired by Acuity (NYSE: AYI). Visby is building holographic light field technology -- codecs and capture solutions -- for virtual and augmented realities. The product is currently in stealth. It is led by a PhD in Particle Physics, Masters in Applied Mathematics, and BA lightfield expert from Harvard University. More on team.